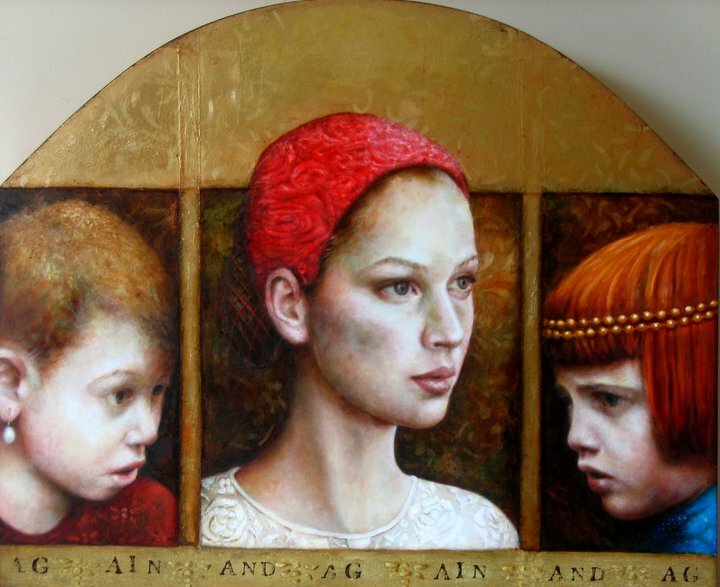 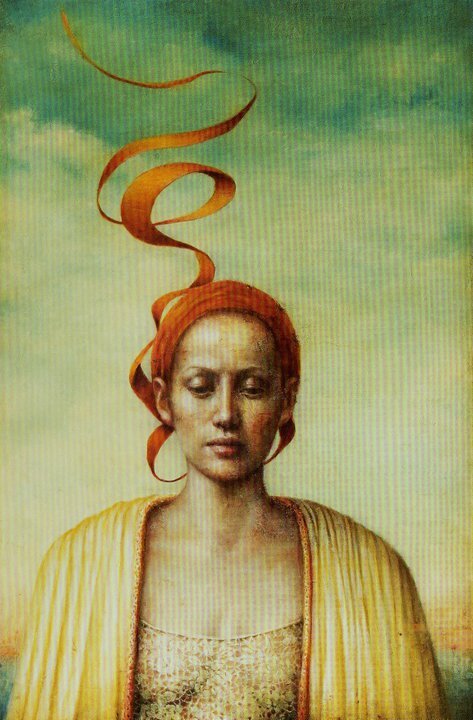 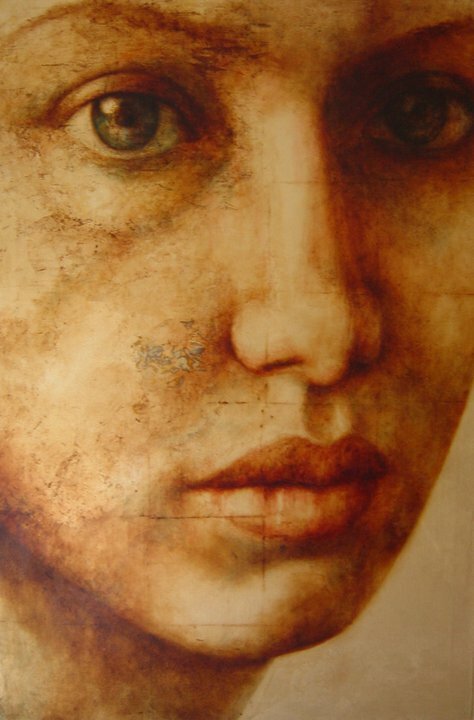 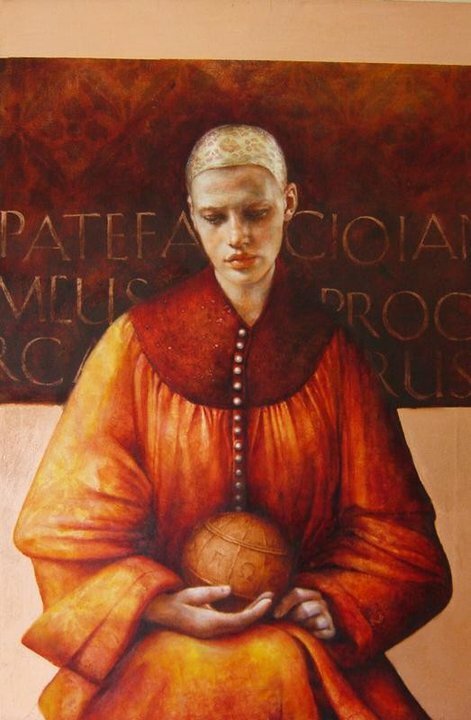 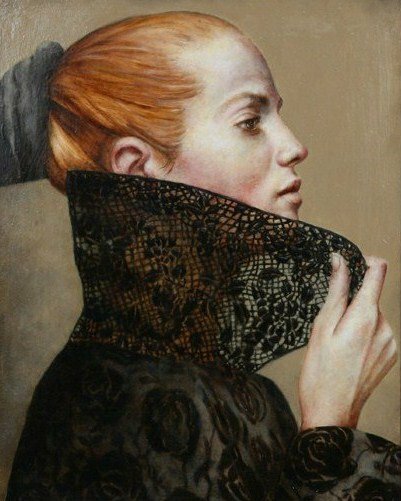 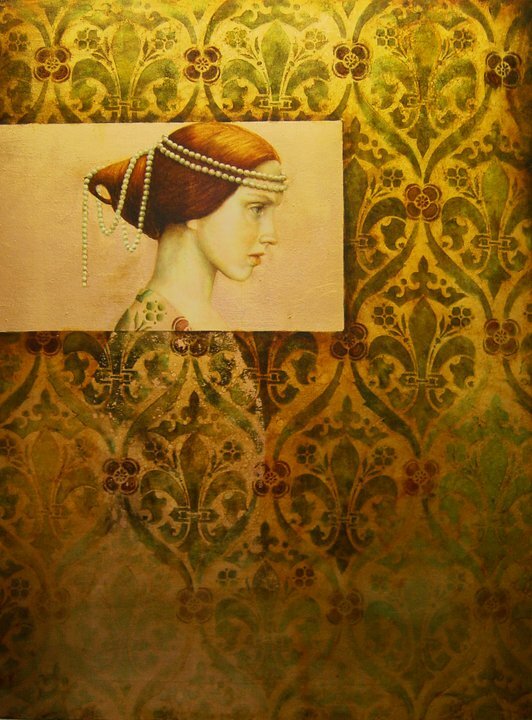 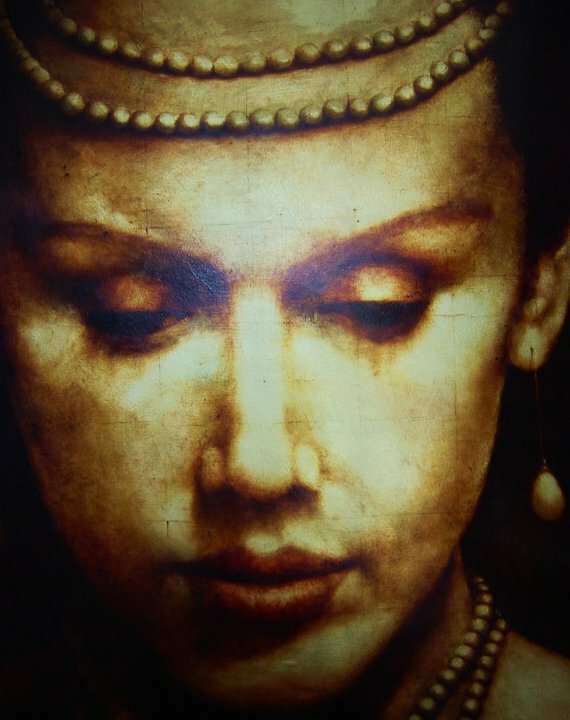 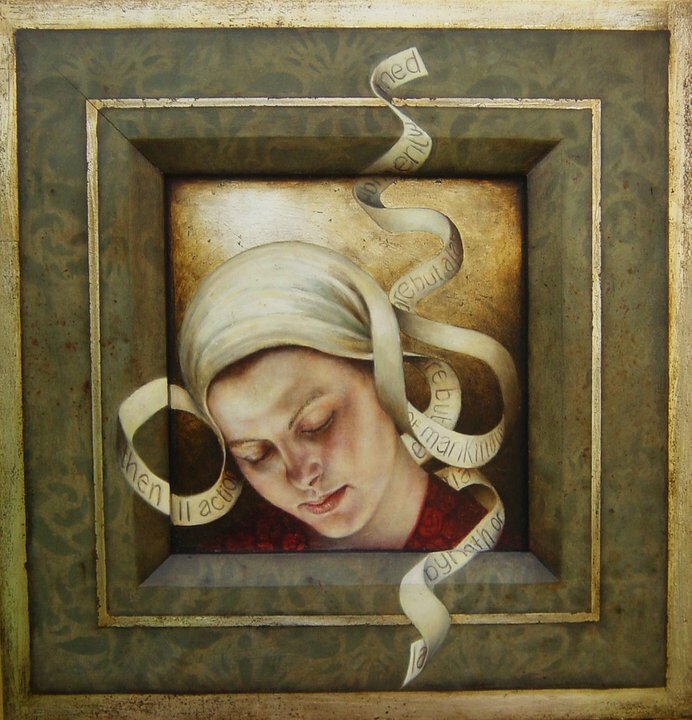 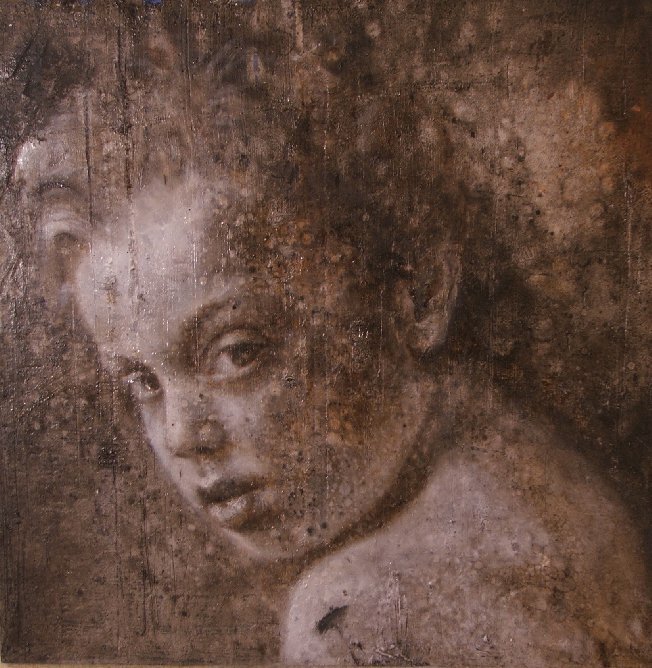 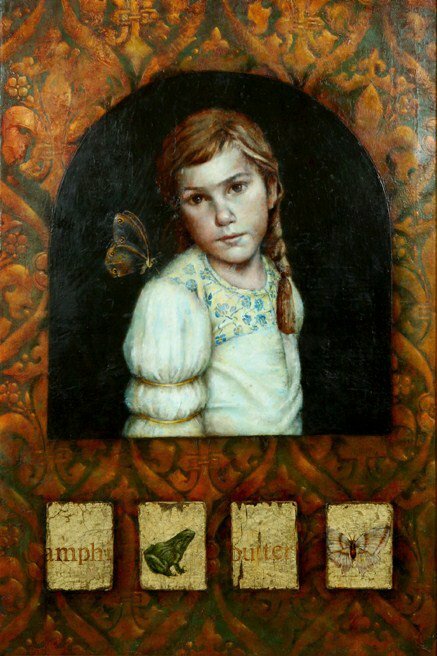 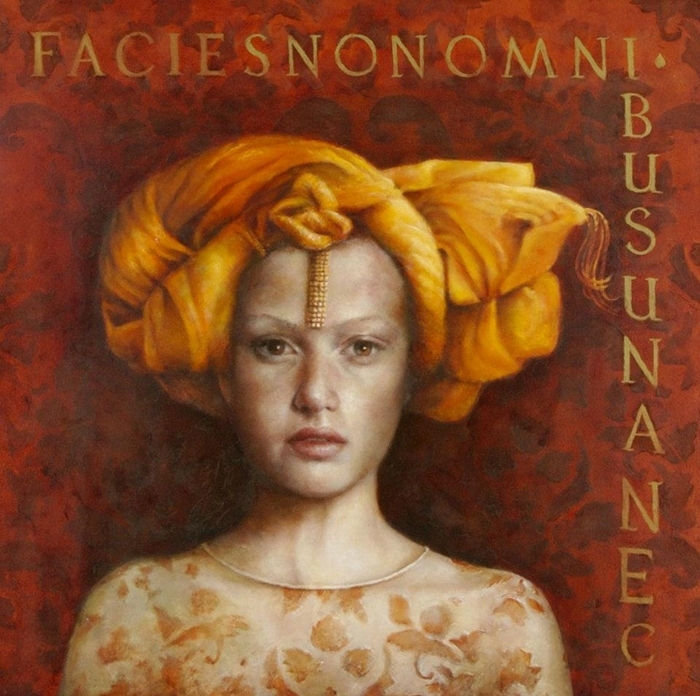 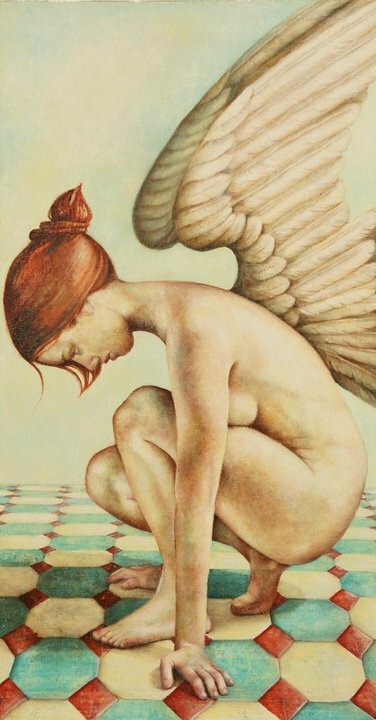 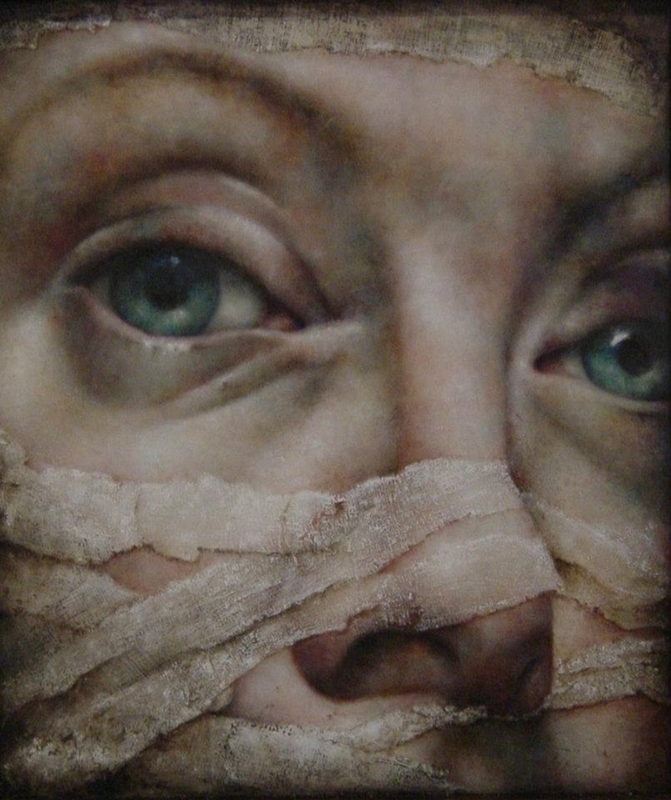 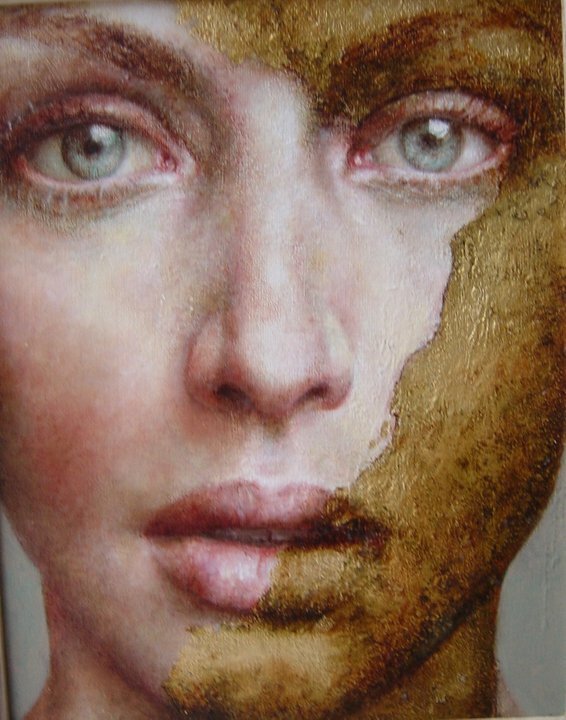 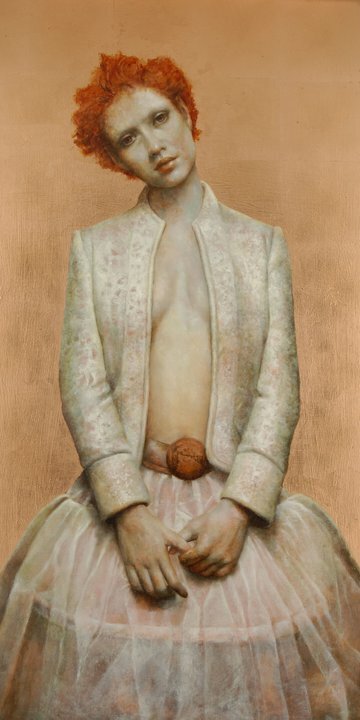 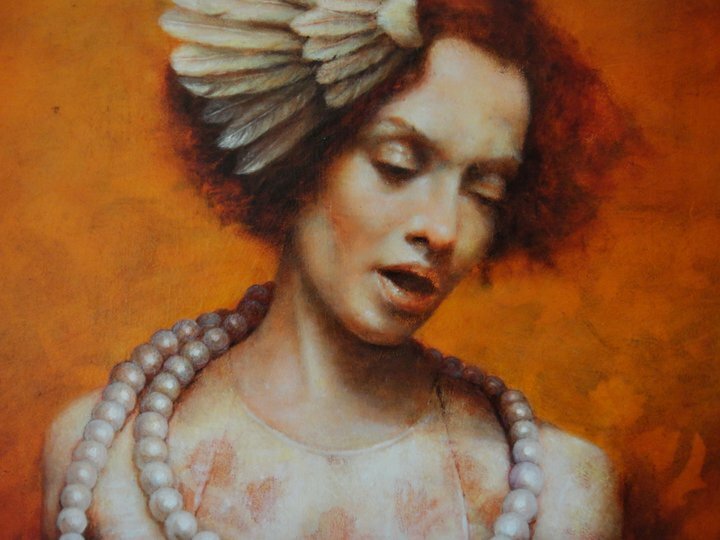 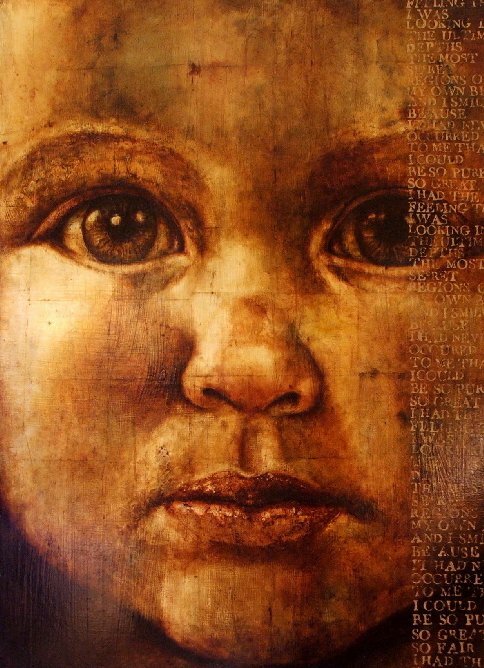 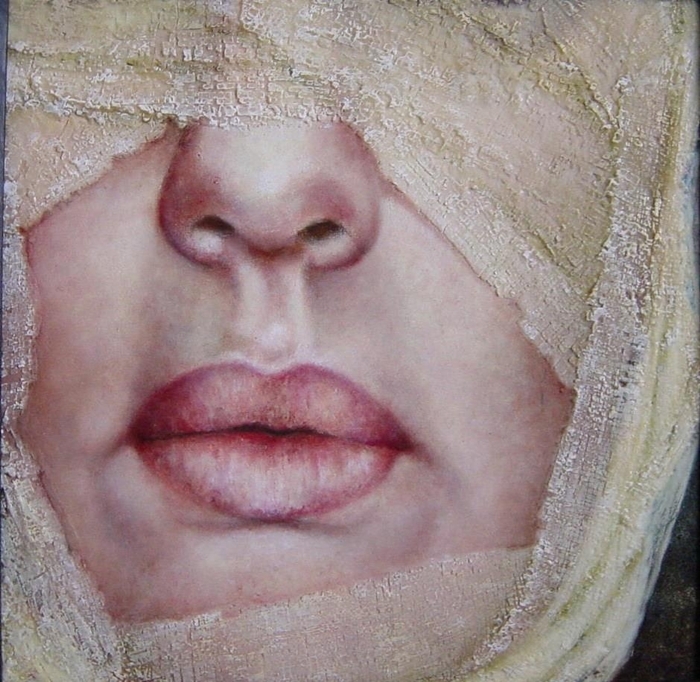 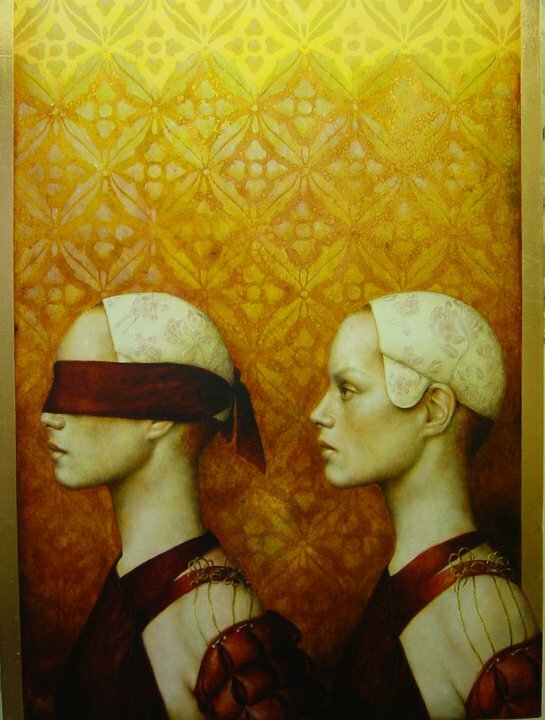 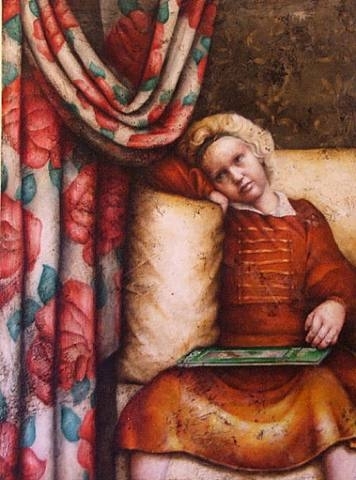 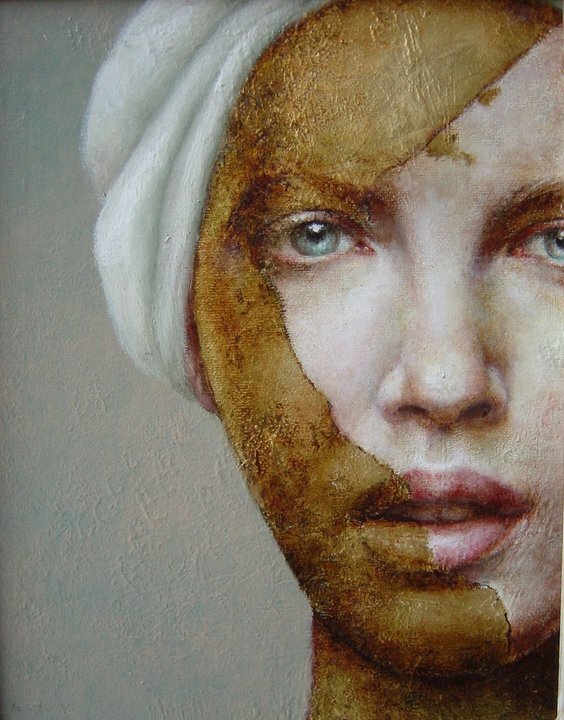 Full-time painter Pam Hawkes was born in Birmingham, England, and still lives in the Midlands. 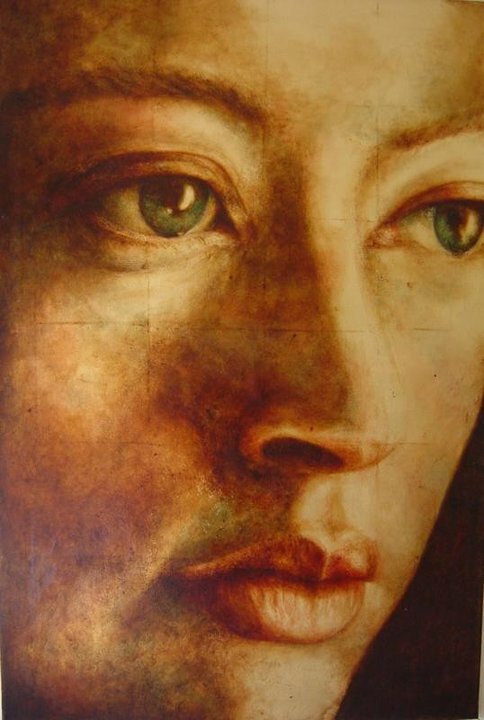 She received her bachelor’s degree in fine art from Coventry University/Solihull College and her master’s in fine art from the University of Central England. 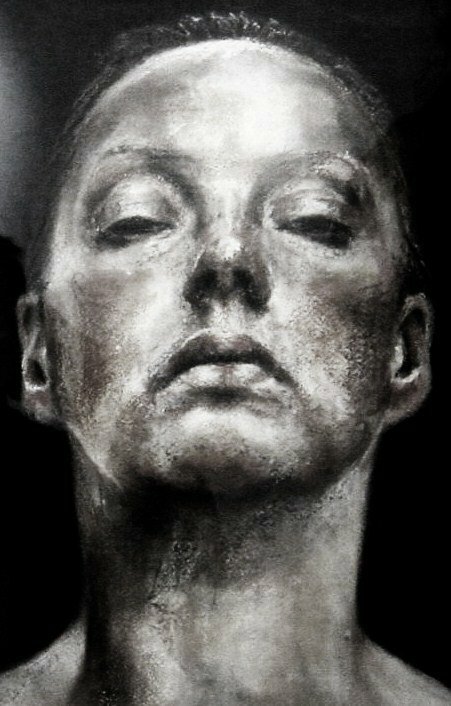 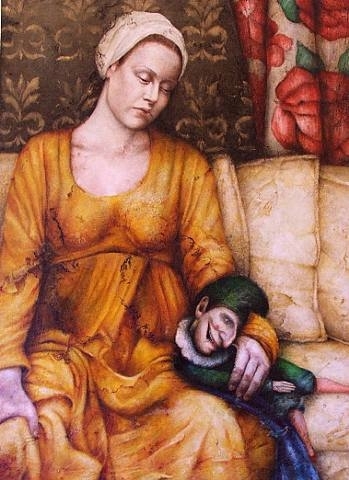 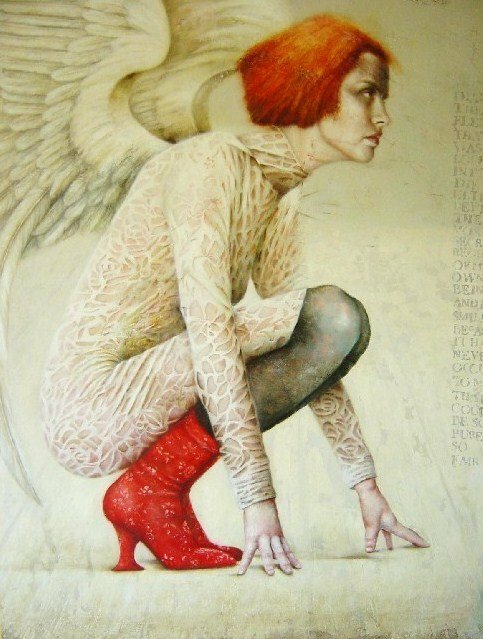 From 1998-2011, Hawkes was Visiting Lecturer in Fine Art at Solihull College and University of Wolverhampton. 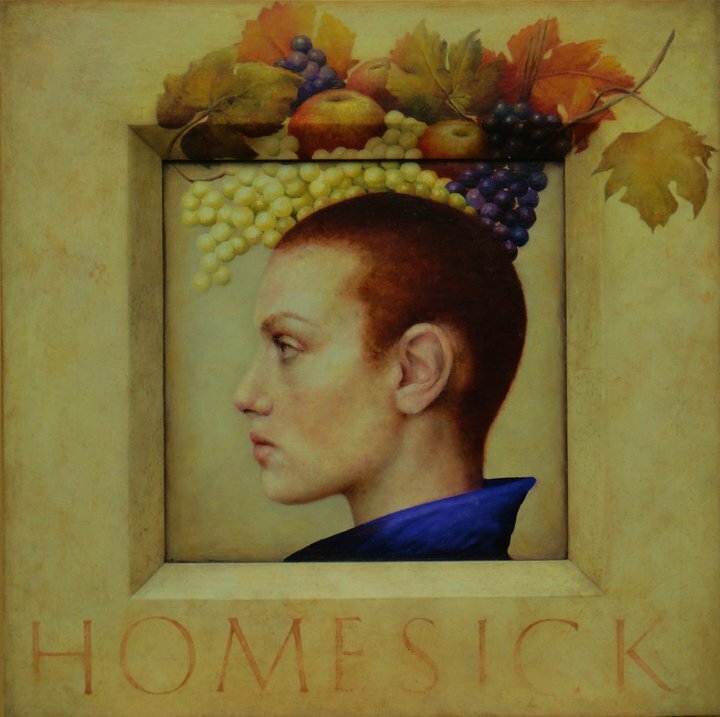 Since 2001, Hawkes has exhibited her work in several dozen group and solo shows. 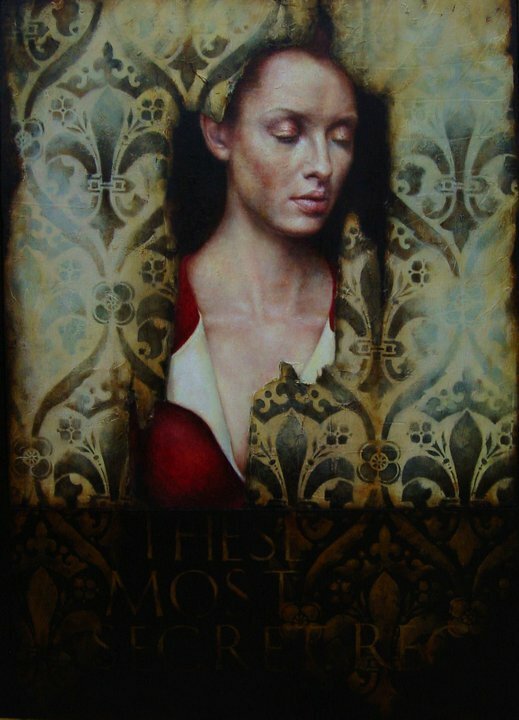 Her paintings were included in the 2011 British Art Fair in London and at Catto Gallery and Flying Colours Gallery in 2012. 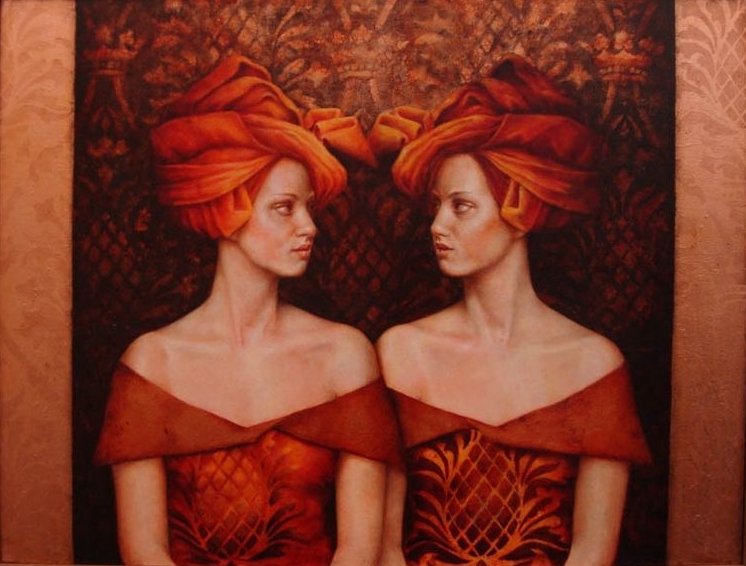 Hawkes was given a solo exhibition in September 2013 at Celia Lendis Gallery, Moreton in the Marsh, England. 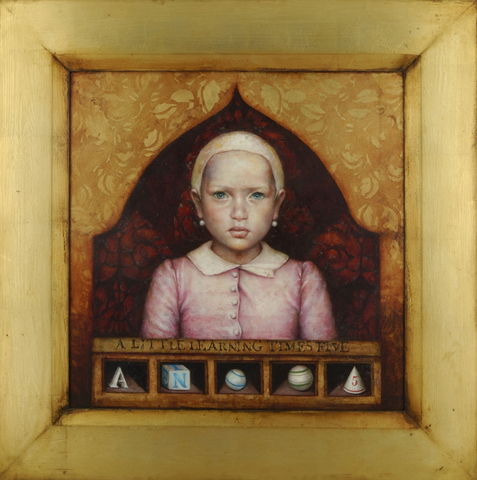 Storytelling, myths, and religious iconography show us the possibilities of change, alchemical transmutations from the mundane life we lead. 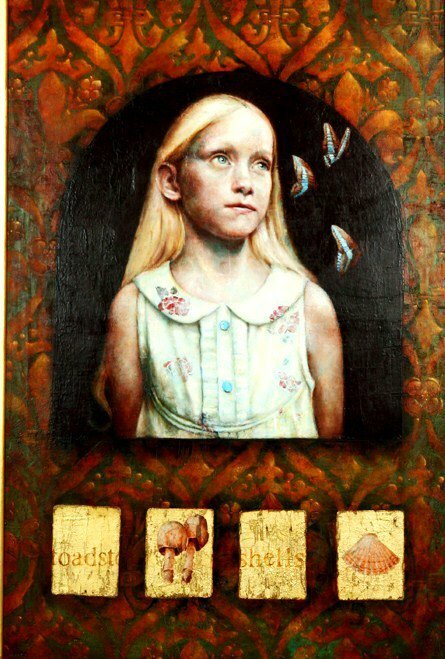 Through traditional imagery, text materials, and painting methodology, my work invites a questioning of the ideal. 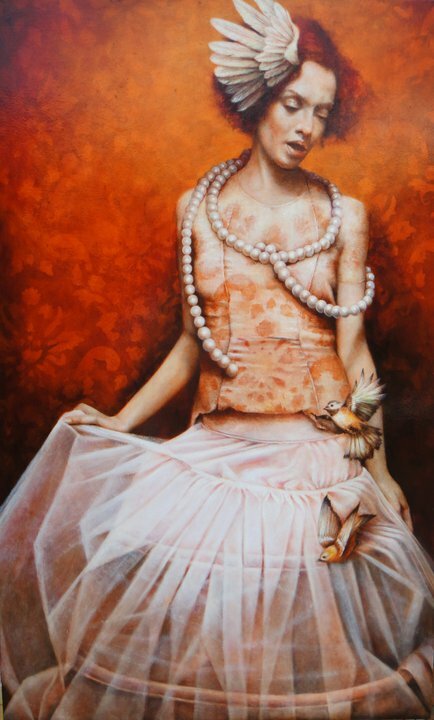 Paintings that hint at the seduction of beauty, jewels, and brocades cocoon then bind us into a misplaced serenity. 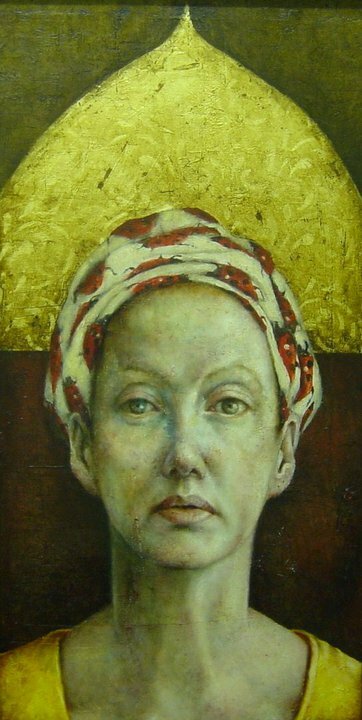 2005 - RBSA Open Prize winner. 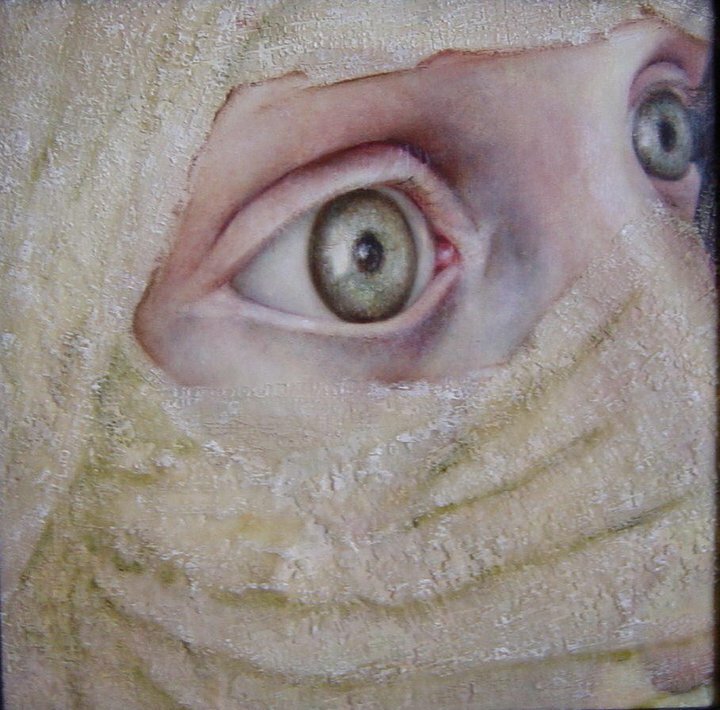 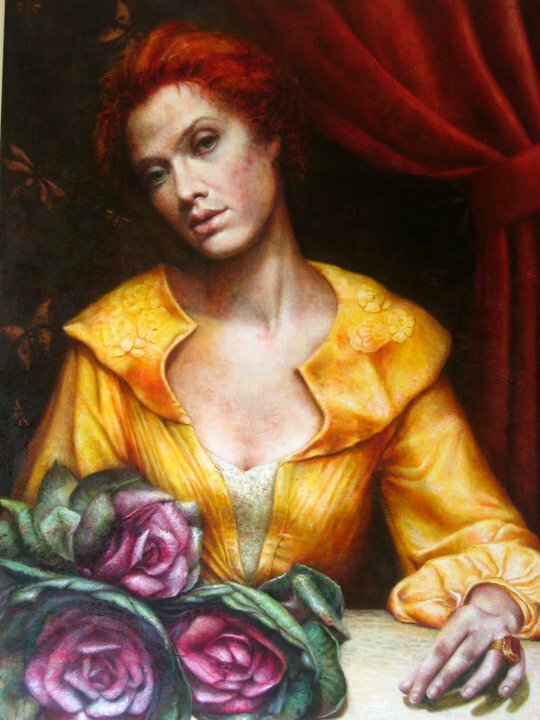 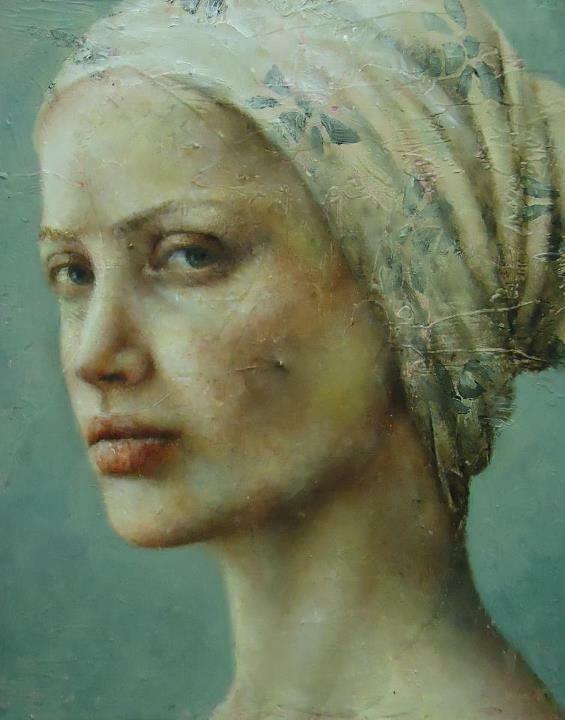 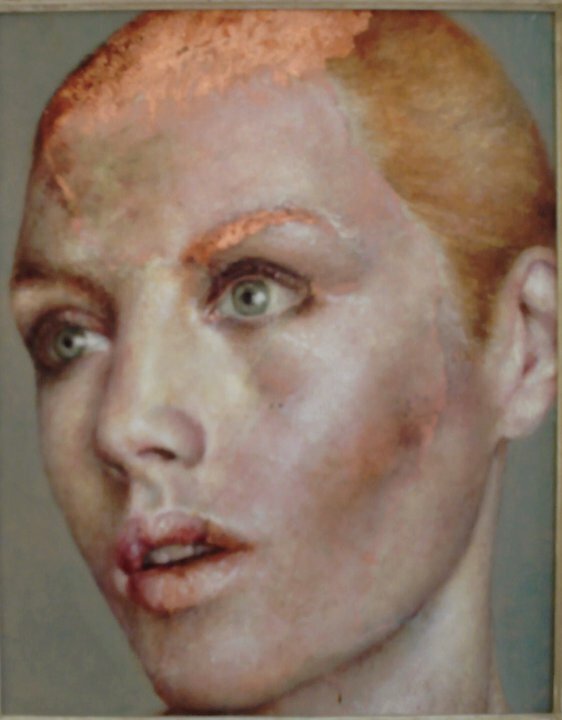 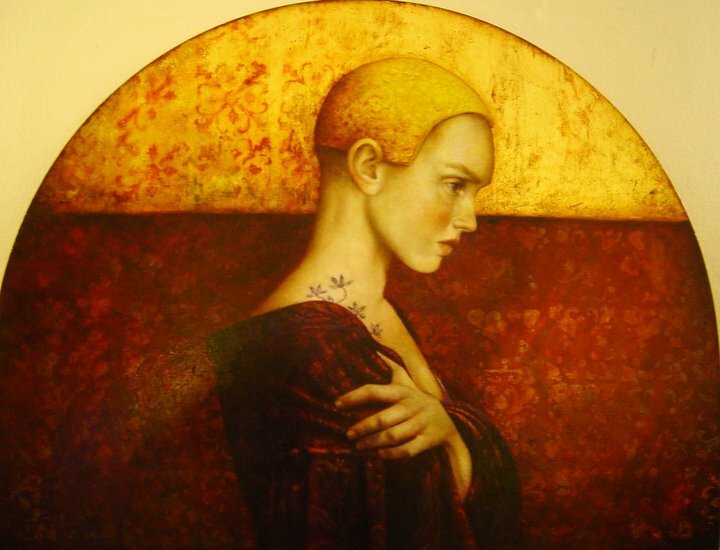 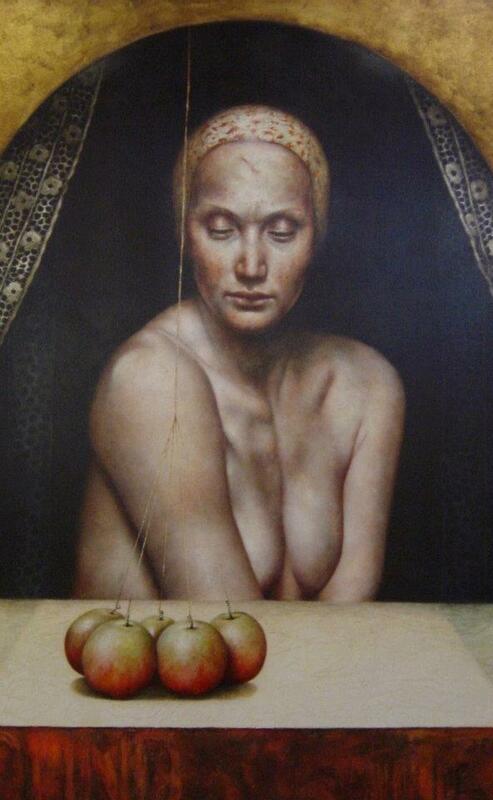 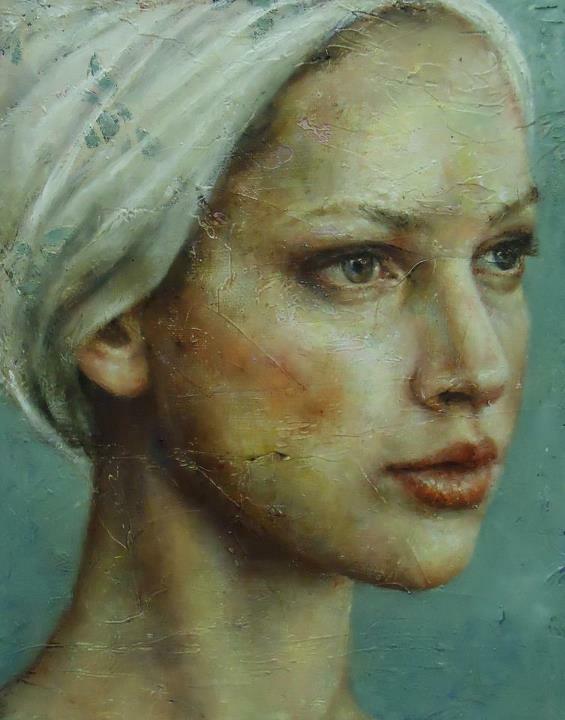 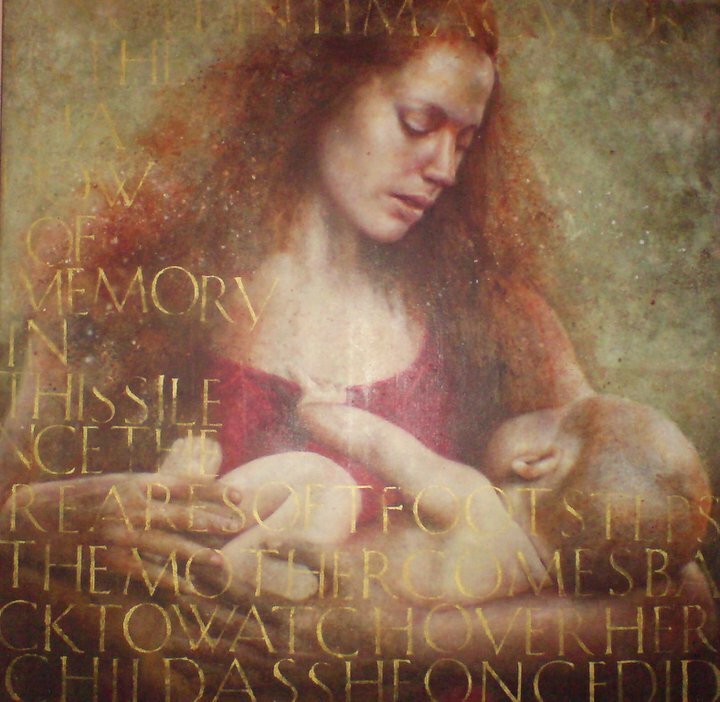 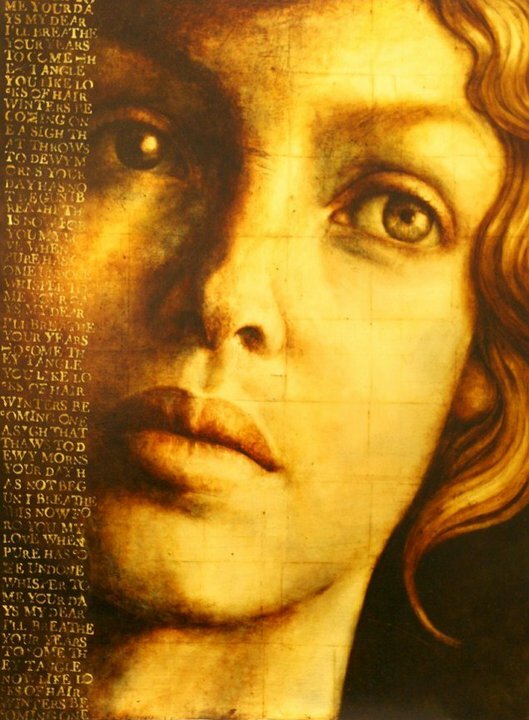 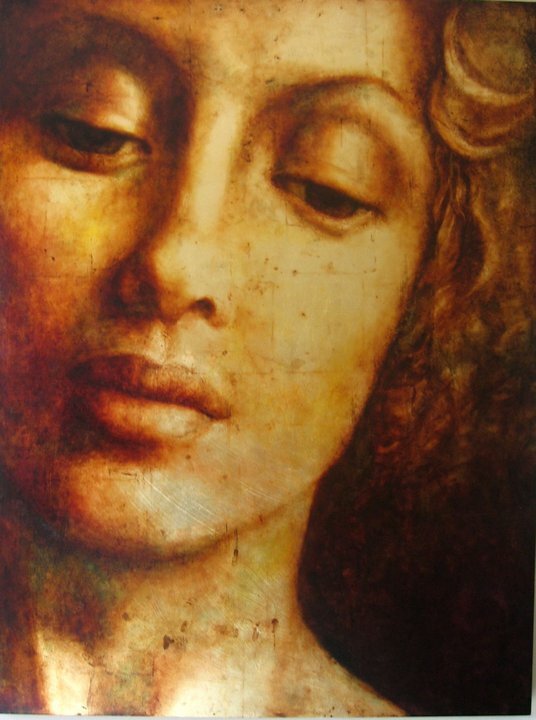 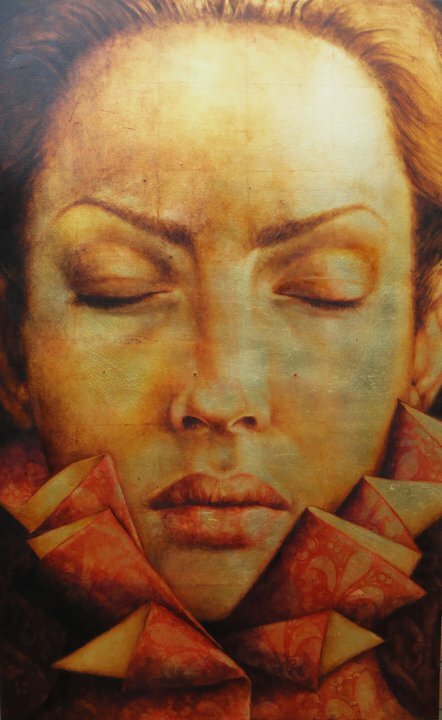 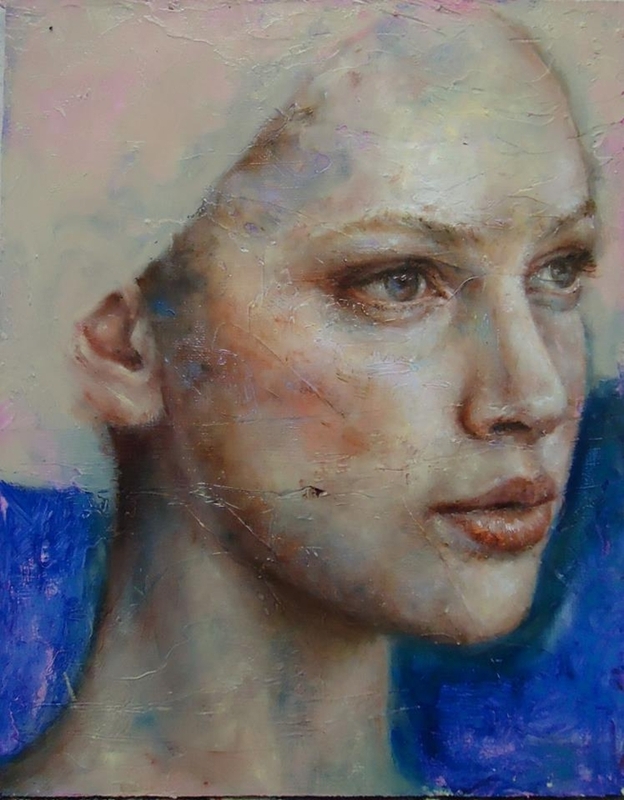 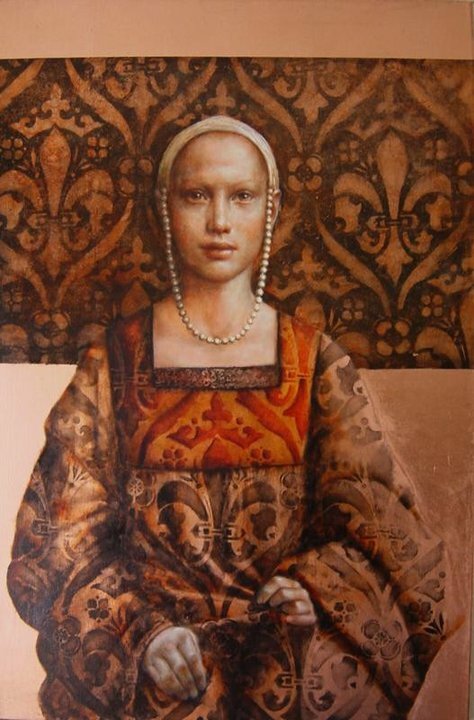 Pam Hawkes, ritrattista Britannica, vive e lavora a Midlands ed ha un Master presso la University of Central England. 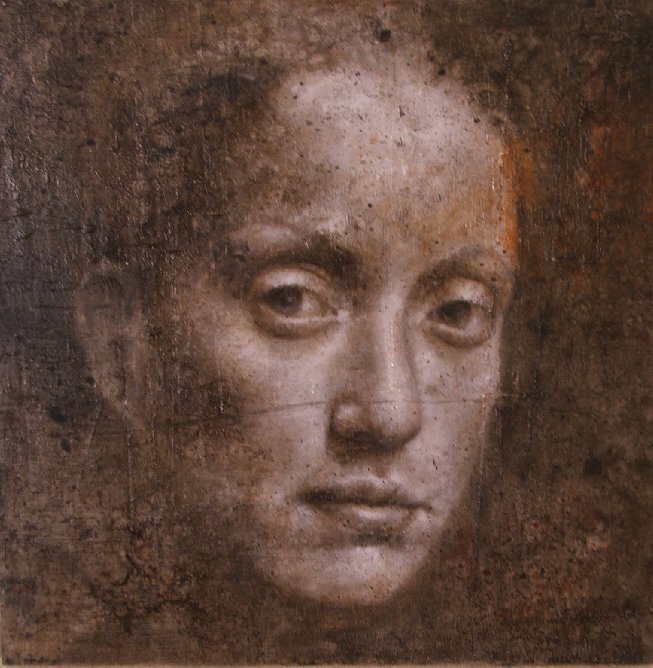 Ha tenuto conferenze di arte e disegno presso scuole ed università di tutta la regione. 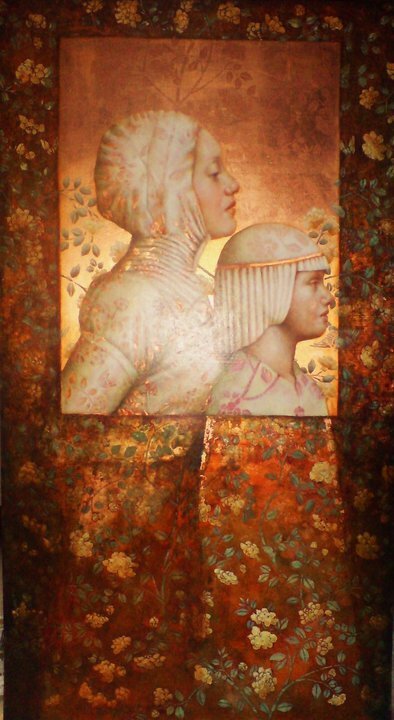 A prima vista i suoi dipinti ricordano le icone religiose dell'epoca bizantina, con i loro colori dorati, con i soggetti rappresentati classicamente e disposti in inquadrature inusuali. 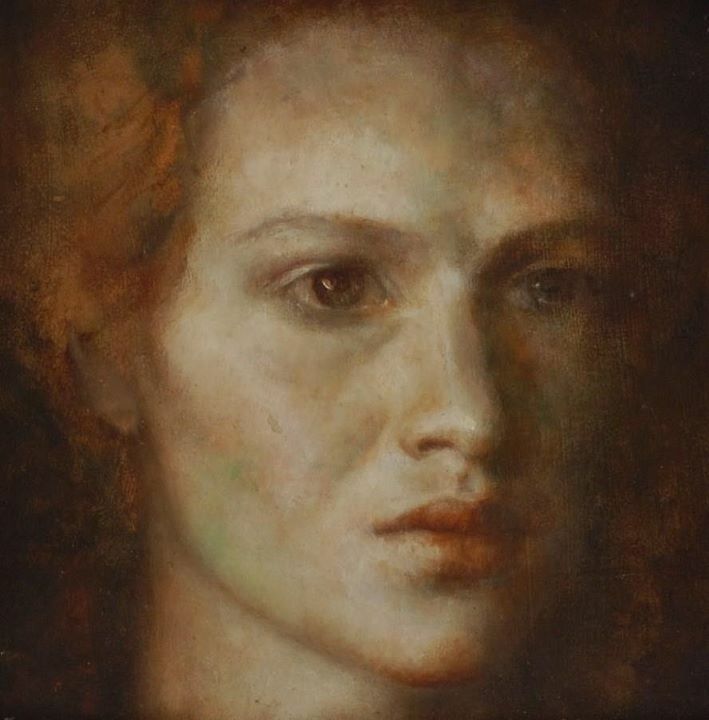 Il soggetto delle sue opere sono giovani donne misteriose e mistiche. 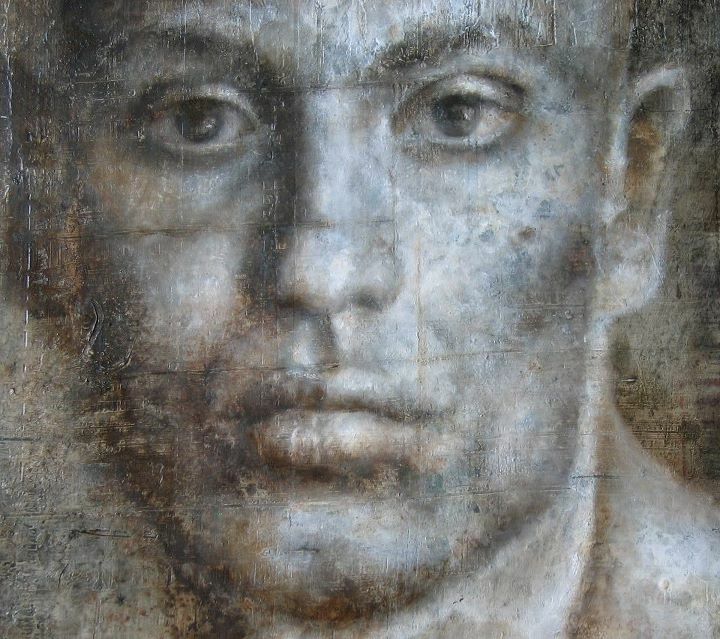 "Racconti, miti e l'iconografia religiosa ci mostrano le possibilità di cambiamento, trasmutazioni alchemiche della vita mondana... Attraverso immagini tradizionali, materiali di testo e metodologia di pittura il mio lavoro invita ad una messa in discussione dell'ideale".